The rewriting of the labor code in December 2018 that increases the amount of overtime employees can work from 250 to 400 hours a year and gives the employers the freedom to delay payment was strongly contested by the opposition parties and the civil society. The attempt to weaken labor rights and trade unions has been a part of the autocratic regime of Orban. Since 2010, the regime was marked by a series of violations of rights and freedoms: the state control over the academic freedom through the introduction of restrictive measures for universities and NGOs funded by international donors provoked the move from Hungary of CEU and of international NGOs, the silencing of the public media and the stifling of free speech, the assault on the rule of law, as well as the disassembly of constitutional checks and balances. These violations happened with the use of various measures and tools meant to discourage dissent and to show the citizens that their actions are being monitored. The direct use of physical force remained marginal. For instance, those who were in opposition with Fidesz, the leading party, were fired from the public sectors and opposition blacklists were published. Arrests of protesters, attempts to discredit activists, recording of what the citizens say and do, threats to journalists, violence against refugees were means of the government to show that the participation in protests and civic opposition come with individual sanctions. Hungarians responded to these conditions by migrating to other countries, silently accepting the situation, or by getting more involved in protests. Even if they have previously protested separately, in December 2018, students, trade unions and opposition parties joined forces to manifest their dissatisfaction towards the rewriting of the labor code and the government. In spite of this recent reconfiguration, the anti-Orban civic and political opposition has lost most of its financial and social resources and is confronted with a hostile legislation and a complex surveillance machinery. Although the EU flag was often used by the protestors as a symbol of anti-Orban resistance, reactions from the EU failed to bring any kind of change. Apart from condemning and trying to constrain the autocratic turn of Orban, as was the case in the disciplinary actions voted by the EU Parliament in 2018, the EU should also focus on strengthening the civic and political opposition. 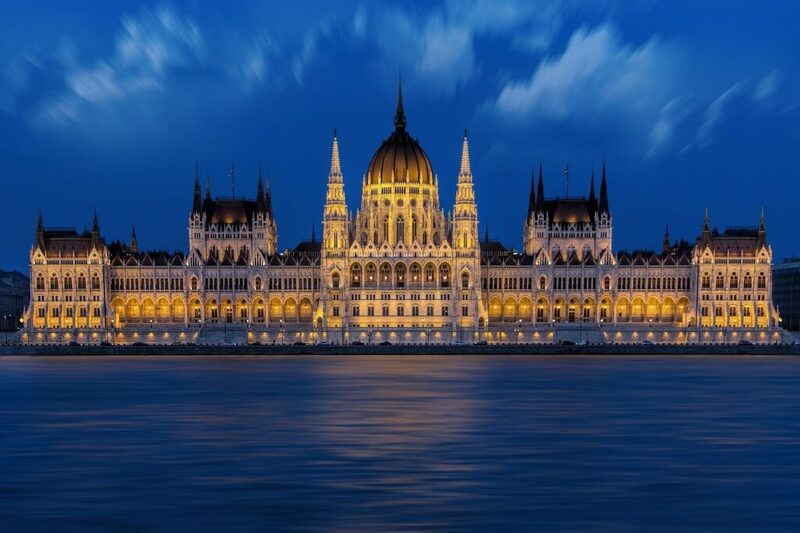 Since some international foundations were paralysed in Hungary, funding the NGOs sector directly without the national government approval and filter, as was recently proposed in the Rights and Values Programme, would give the opposition in Hungary resources to fight the autocratic turn. At the same time, it would also allow the civil society working with immigrants, homeless people and other disadvantaged groups the possibility to continue their work. Also, even if some forms of intimidation, surveillance and psychological pressure remain informal and are difficult to contest in court, appealing to the European judiciary against data protection rights violations in Hungary would help strengthening the anti-Orban opposition that is confronted to state surveillance. Although it seems like “just a national problem”, the case of Hungary serves as a case study for learning how to react to autocratic and repressive tendencies of governments that we are currently witnessing in Europe. While it is more difficult to protest and to gain political concessions in Hungary than in other countries of Europe, freedom of assembly is currently being threatened in countries previously considered as birthplaces of this freedom. Amnesty International has warned against the excessive use of force during the mobilisation of the yellow vests in France. New norms used to suppress political opposition might follow. The French authorities were voicing support for a new measure that would allow the police to make lists of the persons attending protests and to ban the most violent persons from attending these. Deciding who is allowed to protest and who isn’t might easily become a political and arbitrary decision. The development of surveillance techniques and criminalization of activism might blur the lines between liberal democracies and semi-authoritarian regimes. Apart from condemning and sanctioning the current regime in Hungary, the EU should contribute to re-empowering the civic and political opposition in Hungary, a country that is so far a negative example for countering state surveillance, autocratic and populist turns currently affecting Europe.